A handy tool for accurate measurements. 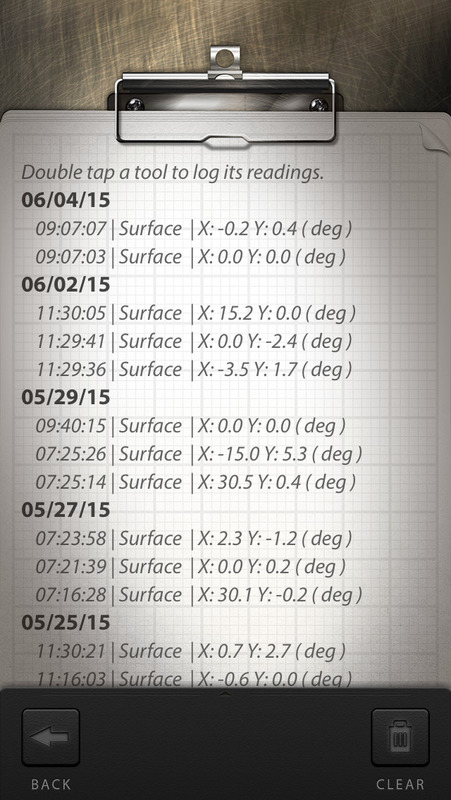 Place your device on any flat surface to check if its parallel to the ground (e.g. a table or a cupboard). You can press this button to save the results of your measurements and deactivate a tool. Press it again to release the hold. Place your device on a level surface and press this button to calibrate a tool for the best accuracy. If you are not sure if a surface is perfectly level you can place a small sphere on it (e.g. a marble). If it stays still and doesn’t roll in any direction, the surface should be level. Reset a tool and its calibration to the "factory" settings. You can turn the sound on to help you level difficult to access objects. The higher the frequency and pitch of the sound the more level is the measured area. Press it to access the Log journal. 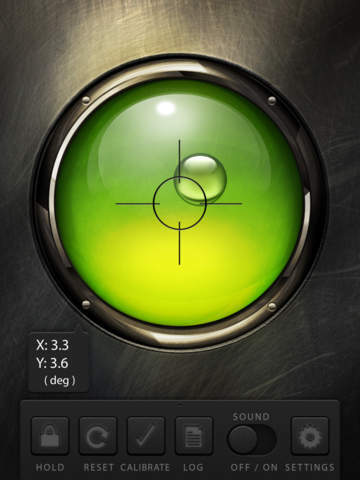 You can log any measurement by double tapping with your finger anywhere on a tool’s screen.